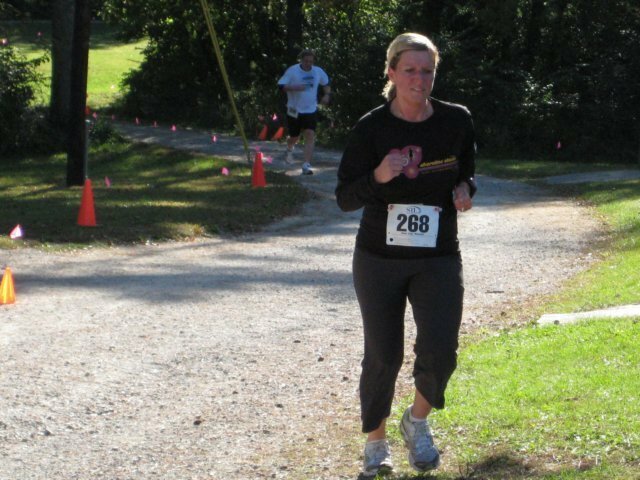 My first trail race. An extra bonus, this race benefits Easter Seals, which is the second major charity my sorority supports. My young sorority sisters were there to volunteer and it brought back memories that I cherish volunteering with my sisters. Back to the race, the path was very uneven and had a lot of tree roots. The course was a lot of up and down type trenches. It took a lot of mental energy to make sure to not twist an ankle. It was so much fun and the time went by quickly. 5th place for my age group.